Join the 'Original' London Thames Boat Party and be part of a unique experience! A great way to party with friends, colleagues or family. Birthdays, an Office party and even Hen & Stag Dos are regularly among our bookings. Each vessel used is fully equipped, built and maintained to a high safety standard and is ideal for an entertaining night out. All the boats used have fully enclosed decks with many have outside areas too. 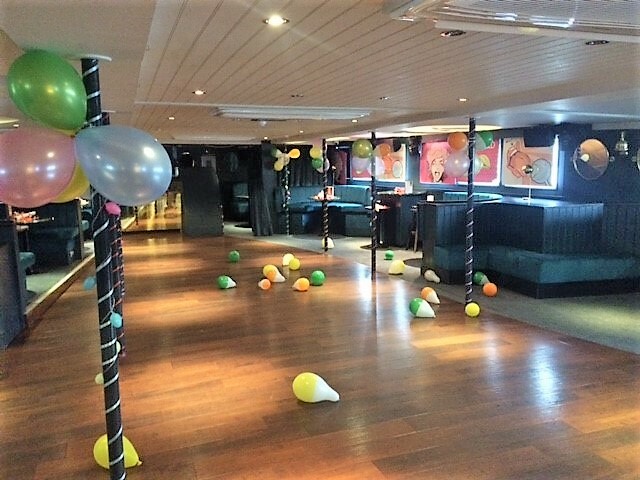 The majority of vessels have 2 decks, the Lower Saloon allows you to relax with a drink, enjoy the supper buffet and have a chat, while on the Upper Deck you will find your fellow party seekers dancing the night away to the sounds of a top Thames DJ! After you've danced 'til you've dropped there is no better remedy than to go out onto the open deck and view the breath-taking illuminated sights of the London Riviera! Images are for illustrative purposes. We use a variety of different boats. FRIDAY 7pm - 11pm - we aim to run most Fridays between May-Sept.
Other dates are possible but we require a minimum of 50 people to operate. A central London Pier; usually Westminster Pier or on the South Bank. All Piers are easily located and close to public transport links. 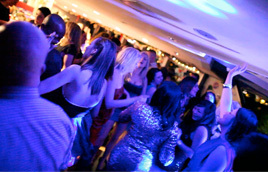 A top Thames DJ playing party anthems from the past few decades to the current hits. Music to suit many! - 1 free ticket for every 20 tickets purchased! We have teamed up with a riverside venue to offer a place for all your group to meet and drink prior to departure. Even better, for those who want to party on after the cruise, you can have FREE guest list entrance. Ideal for Hen, Birthday & other groups, we can offer an exclusively reserved area anytime between from 5.00pm - 7.30pm. With your feet still tapping away, you´ll be stepping off one dance floor and on to another. (Over 21's policy at the club but upon request, over 18's will be permitted). Contact us if you'd like to add the BEFORE/AFTER cruise packages to your booking. You can either pay in full if you prefer, you can pay a £10 pp deposit initially, with the remainder then due no later than 1 week prior to departure. 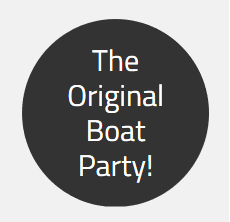 We’re proud to be the ORIGINAL organiser of the ticketed party boat cruise. Now in its 51st year! That’s why we offer the biggest selection of dates; we run every Saturday night! 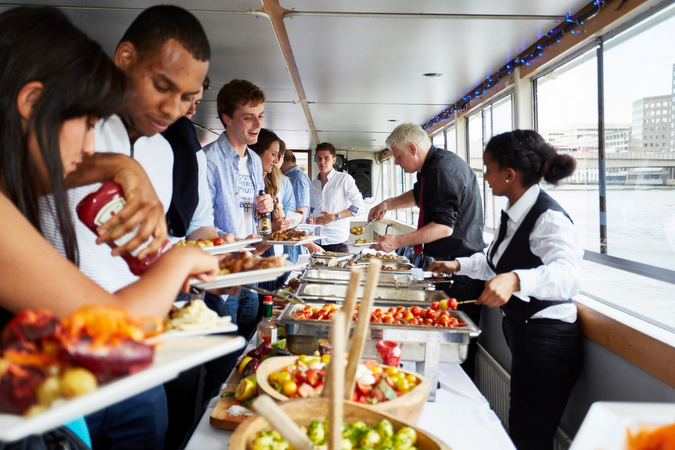 Emphasised by having the most availability by using the biggest fleet of Thames Party Boats, an ever increasing list of booking Agents and a price match promise. Add to that a ‘free organiser’s ticket’ for groups of 20+, we firmly believe that it’s tremendous and unbeatable value! Hopefully you and your colleagues/friends can add to our list of happy Sailors?